The third round of the 2017 FIM Superbike World Championship has had its final day of action at the MotorLand Aragón Circuit. 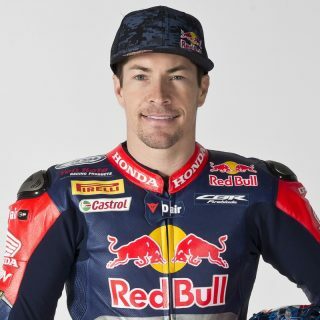 Red Bull Honda World Superbike Team’s Stefan Bradl finished the second race in twelfth place, while his team mate Nicky Hayden was forced into an early retirement on lap 11. 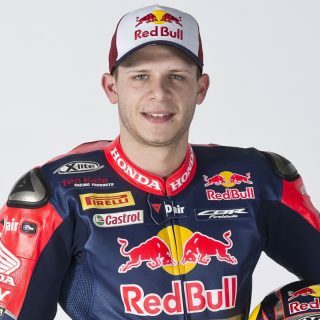 Bradl did not enjoy the perfect start from the second row of the grid and, by the end of the first lap, he had dropped down to tenth behind Hayden. The 27-year-old German rider retook his position and battled hard for eighth place in the first half of the encounter. Stefan then dropped back but stayed in contention for tenth place until the final laps, when he ultimately lost touch with the riders ahead. Hayden moved up a couple of places on the opening lap and looked aggressive in the early stages, before starting to lose ground with a technical issue. As the race entered its second half, the situation worsened to the point where the 35-year-old had to make his way back to the pits and out of the race. Bradl and Hayden will be back on track on board their Honda CBR1000RR Fireblade SP2 machines tomorrow for the one-day official Dorna WorldSBK Organization test here at Aragón. This was not the result we were expecting, obviously. We tried a different setting from yesterday because we wanted to get a better turn in with the bike, and in the warm up it felt good. We decided to keep it, because we need to make changes and see how the bike reacts, but unfortunately it didn’t help us during the race. I was overriding the front tyre a bit, which left me with very little grip for the final laps when I was fighting with Ramos and Camier. We made a poor choice, but it was the first time that we made some real adjustment to the chassis as before we were mainly concentrating on the electronics and the engine. We definitely have a couple of things to try tomorrow during the test. We adjusted the bike a little bit this morning to try and increase the turning and help the changes of direction and the bike felt better. I had a good start and picked up some positions during the first lap. I got up to eighth at one point but as early as the second lap I was having some issues with the clutch: it got worse every lap, up to the point when there was no way I could finish the race, so I had to come back to the pits. Obviously we’re disappointed; things aren’t going our way at the moment but there is a test tomorrow so let’s see if we can make some progress. This morning during warm up we tried new geometry on the front of Stefan’s bike and it looked like we made a step forward as he was able to put together a decent amount of competitive lap times. For the race distance, unfortunately, these settings proved to be too aggressive for the front tyre which wore out quicker than expected. 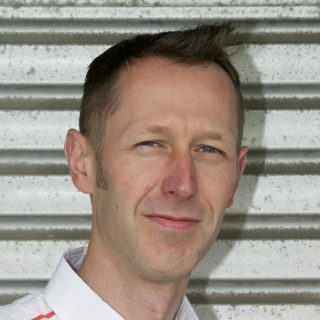 It’s a shame, because Stefan rode a great race and could have stayed in contention for a much better result. Nicky had a good start and was looking strong in the first few laps, but then had a problem with the clutch and he could not continue. It’s a shame because we could have done a bit better today. We now have eight hours of official testing ahead and we’ll make the most of them.